During the 2017-2018 PACOM RIMPAC cruise, the Airwing consisted of VFA-97 and VFA-151. During the deployment, they flew each other's aircraft, worked side-by-side with each other, and were "sister" squadrons to each other. They created this new squadron patch, with the designator the sum of their two squadrons 'numbers'. This patch does NOT come with velcro attached. During the 2017-2018 PACOM RIMPAC cruise, the Airwing consisted of VFA-97 and VFA-151. During the deployment, they flew each other's aircraft, worked side-by-side with each other, and were "sister" squadrons to each other. They created this new squadron patch, with the designator the sum of their two squadrons 'numbers'. This patch DOES come with velcro attached. 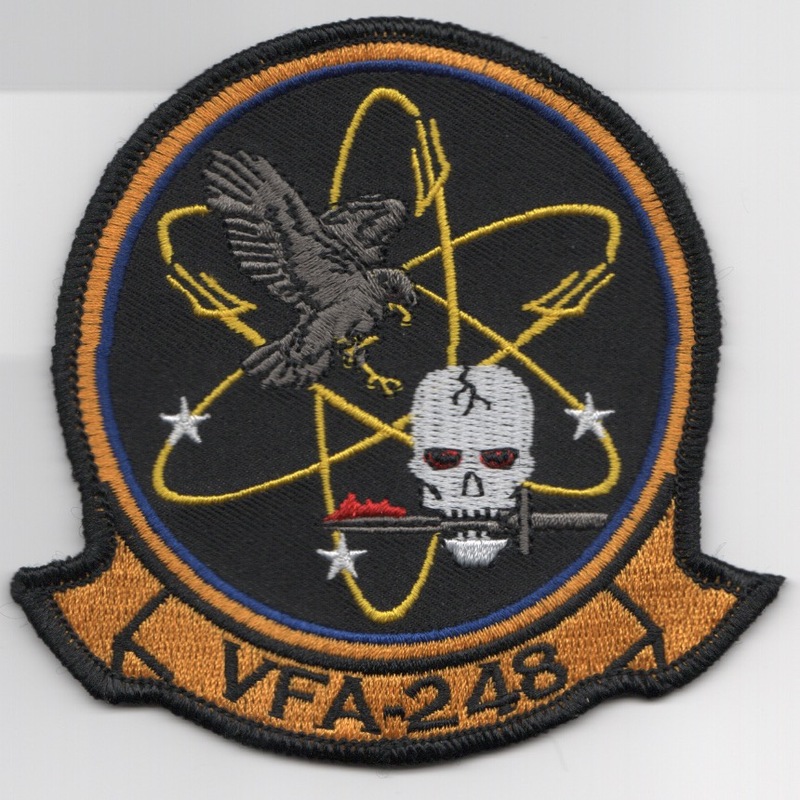 Homepage | Order VFA-248 Patches!